Nagpur : Police have booked a man for duping a woman for providing job in Nagpur Metro Rail Project. He duped 3.50 lakh for providing a job to her son as the metro is providing a job to her son. As the metro work is moving forward at a fast pace. Nagpur Metro Rail Corporation Limited (NMRC) is now known as Maharashtra Metro Rail Corporation (Maha Metro) Limited. Maha metro has to face controversy that they are fleecing unemployed people in the name of providing the job. 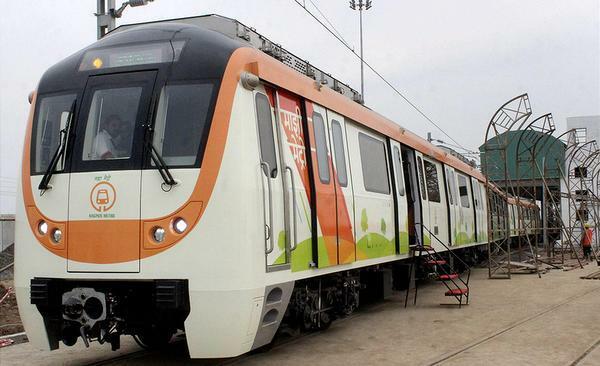 Nagpur Metro is under construction rapid transit system that will serve Nagpur city. The project is expected to complete by the mid of 2019 and the trials likely to start soon. As per the Police research the Prabha Bhaiyyaji Bawne of 54 years old filed complaint against Bhojraj Vinayak Dhoke he is a man of 29 years old he told the woman that he has good contact with top officials of Nagpur Metro Rail Corporation and assured her that he will take responsibility for his job. Prabha Bhaiyyaji Bhawne is a resident of Giraj Road, the Umred police are in search for Bhojraj. He took 3.50 lakh from her last year and he neither provided job to her son and nor he returned the money. If there is any recruitment company posts their recruitment notices on their respective website. Some consultant fools people by doing fake promises as they won’t provide job and just fleece people. People should directly go to offices in case having any query about the recruitment or not give any money to any third person without having proper information. He found criminal as per Sections 420 and 506 of the Indian Penal Code against him.